Sometimes you only have to look at your carpet to know that it needs extra care and attention. Simple vacuuming is important, but it is not going to be enough. Whether you are in a domestic or commercial setting, it is important to keep your carpets looking their best. With several options available to you, it is a good thing that Top Cleaners Westminster are on hand to give you the right advice for getting the best out of your carpet. Our company is one of the few that provides a variety of cleaning services, all available for hire. We provide different kinds of carpet cleaning in Westminster and many other areas throughout London. These are all options that we can assist with. Each of these methods we have used to great success with clients in Westminster. 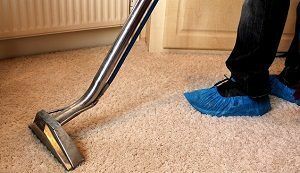 Top Cleaners Westminster can make sure that the right method is used for your particular carpet. Our cleaning technicians will come to examine the situation in your home and provide the service that best fits the situation. You can expect nothing but the best outcome for your carpet and rugs. Our cleaning services are operated by fully trained cleaners who use the latest methods, products and equipment to produce the desired results. This is a recipe for success, which many clients have already tested and found great. You too can now experience the wonders of our professional carpet cleaning service! As we can cover the whole of London, it does not matter where you are located. One phone call at 020 3909 7649 is all it takes to get us on the case. Our team of experts can be with you at a time that best suits your schedule. We value your time greatly, so we will arrive on time and work with zero delay to give you the cleaning result you desire. Our cleaning company has been in operation since 2001. In that time, we have established a strong reputation for quality of service. We pay attention to every single aspect of the job and ensure it is done to the highest standard. We are glad that so many clients have already tested the service and found it to be great. Our carpet cleaning service is definitely one of the most popular. That is why we have made it our mission to improve the service even further. It is the only way to ensure our clients keep their carpets clean for extended periods of time. Why not take the opportunity to bring your carpets back to life? Let us come into your home or business to move the dirt and bacteria from carpet fibres and keep them looking like new. It only takes one phone call to find out more about the cleaning services and the cleaning prices that we offer. Call our friendly team now on 020 3909 7649 and learn more about our carpet cleaning in Westminster.